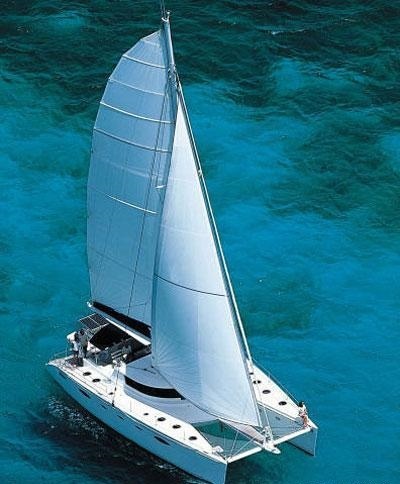 Crewed sailing catamaran PAS DE DEUX was launched by Foutaine Pajot in 2005. 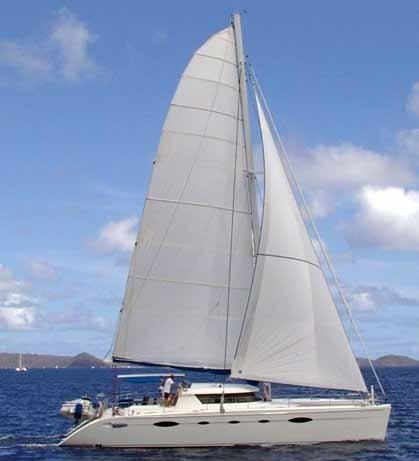 S/Y PAS DE DEUX receives regular upgrades and is maintained to a high level. 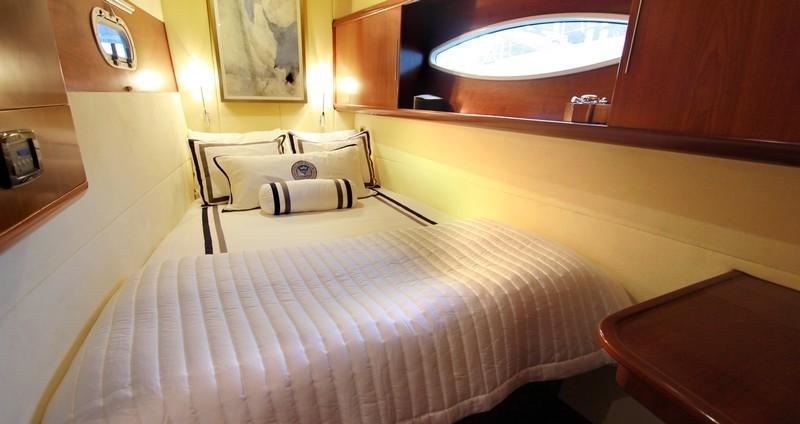 The dedicated crew of 2 welcome up to 6 charter guests on board, accommodated in 3 double, en-suite cabins. 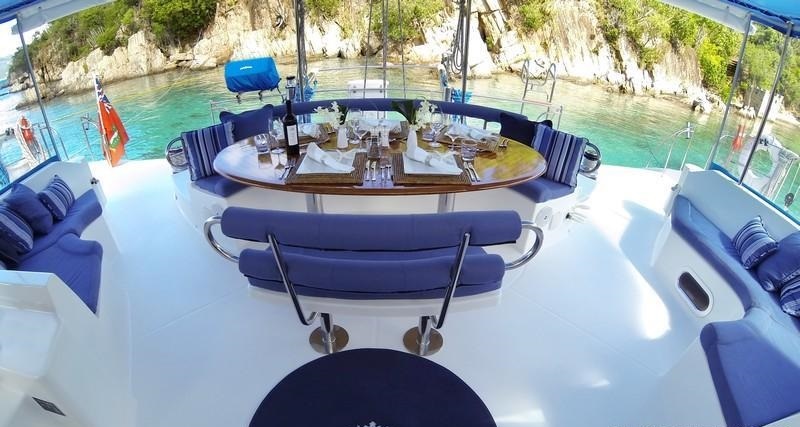 Crewed charter yacht PAS DE DEUX is available year round in the beautiful Virgin Islands of the Caribbean. 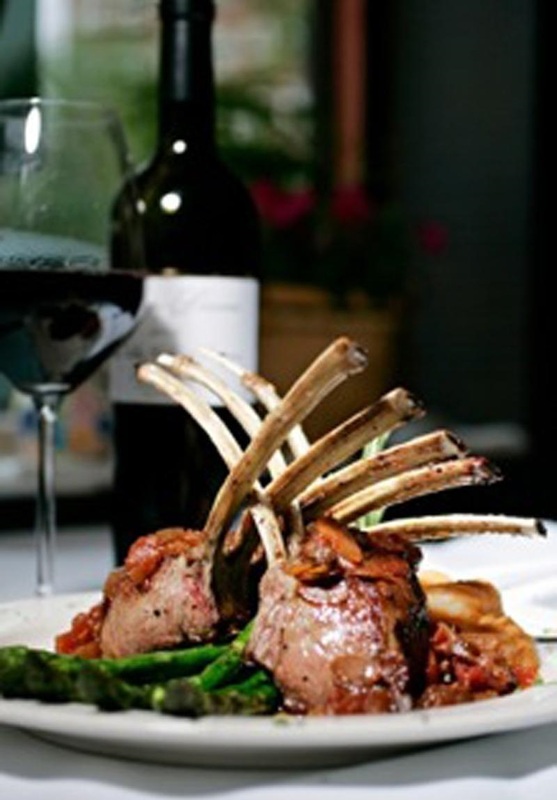 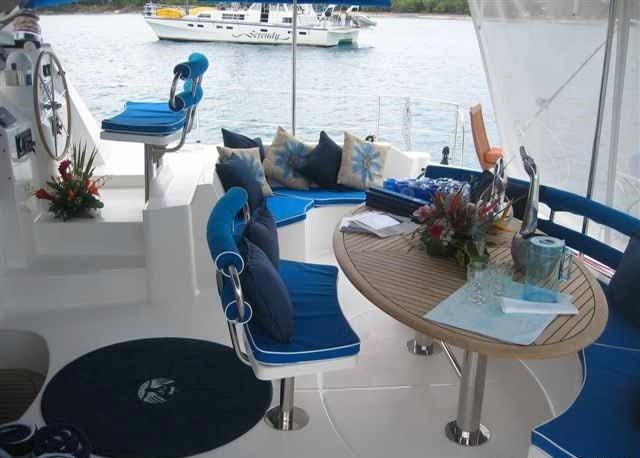 Catamaran PAS DE DEUX has an elegant contemporary interior décor, emphasizing comfort and serenity. 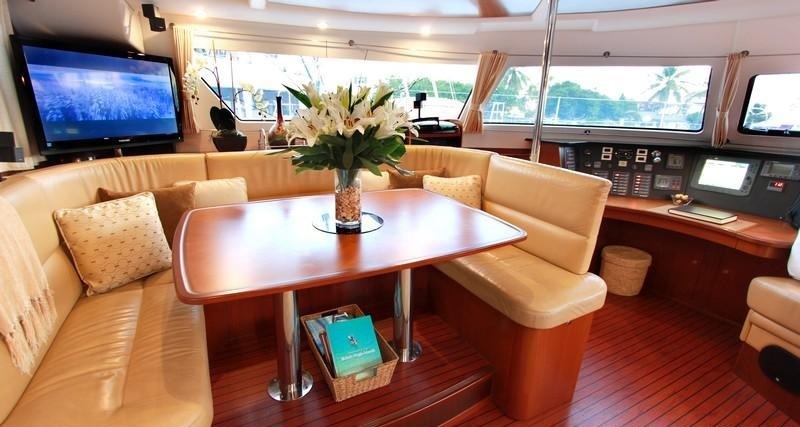 The generous salon and dining are an open plan, featuring a lounge starboard and forward of the bar/galley and spacious formal dining area to port. 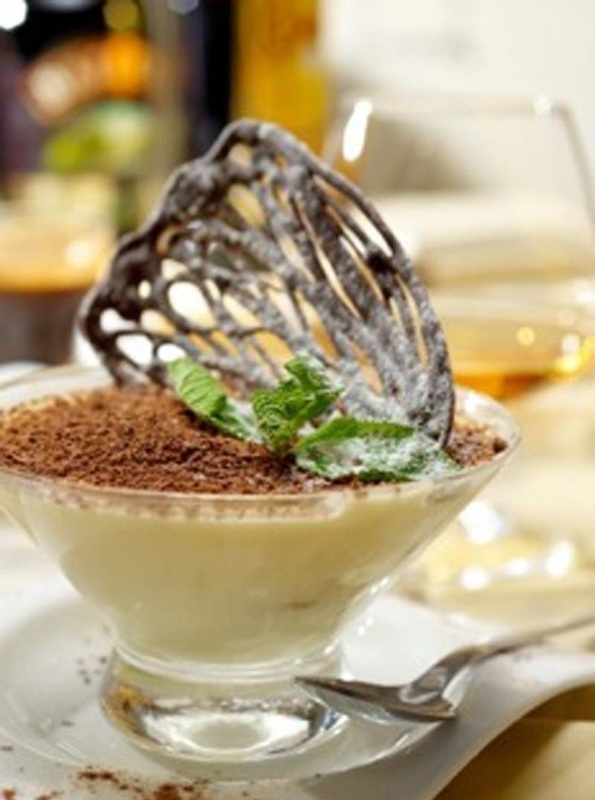 Beautifully finished inlaid floors, supple leather soft furnishings, cream panels and large surrounding windows, create a welcome and relaxed ambiance. 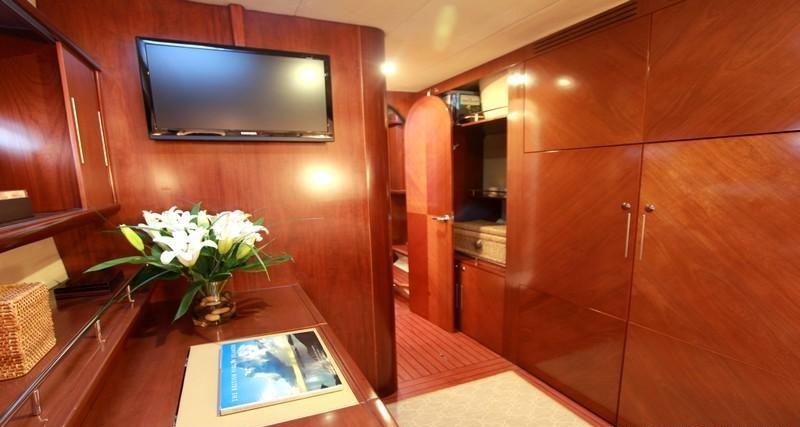 Charter yacht PAS DE DEUX is fully air conditioned throughout for ultimate comfort. 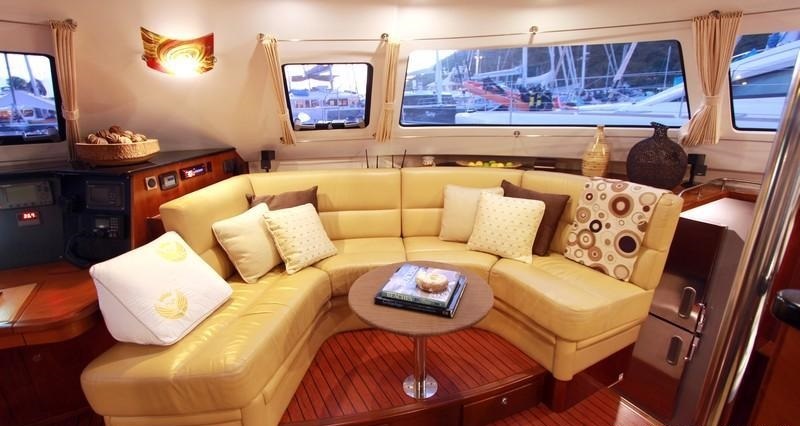 The yacht furthermore boasts plenty of deck hatches and ports, allowing for cool sea breezes, if preferred. 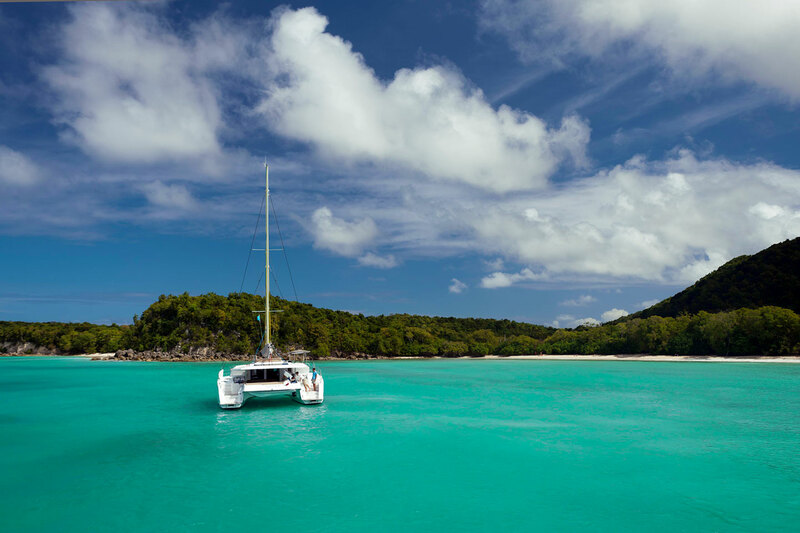 The sloop rigged multi hull sailing yacht PAS DE DEUX offers ample exterior deck space. 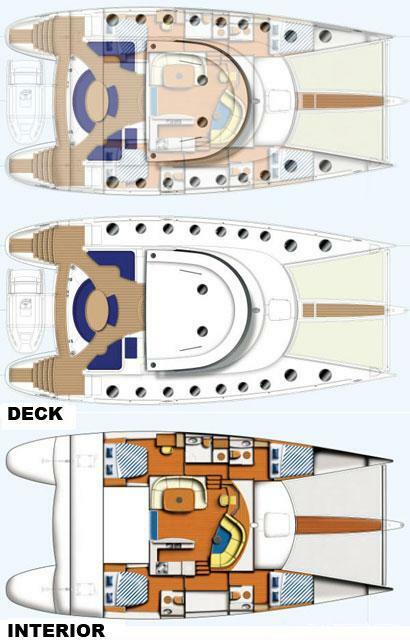 The salon is adjacent to the cockpit, where large sliding glass doors open, providing a fabulous social area. 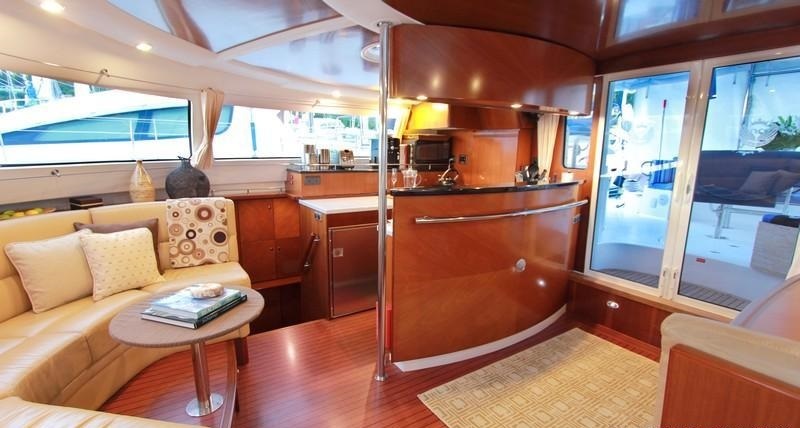 The cockpit is shaded and has comfortable upholstered seating and alfresco dining option. 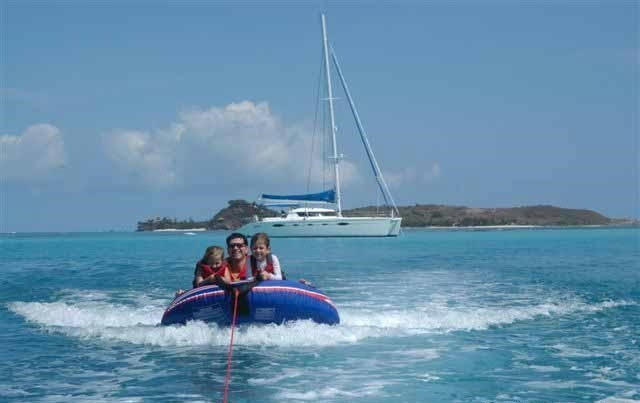 For the water enthusiasts, the yacht has 2 wide transoms, allowing for effortless sea toy fun. 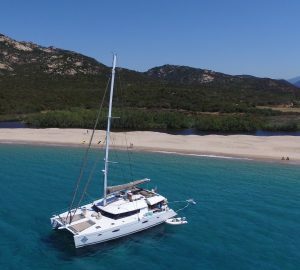 An expansive foredeck boasts dual safety trampolines, ideal for sunning and relaxing. 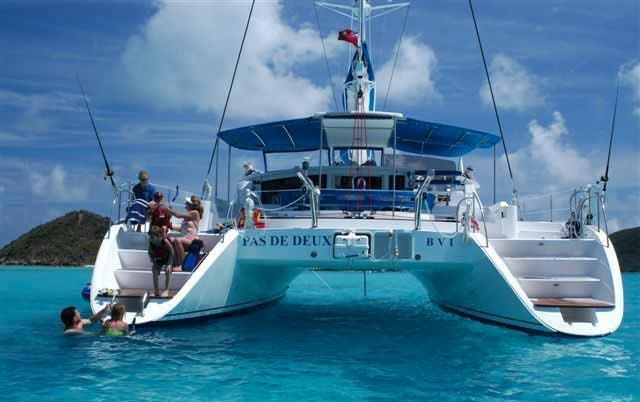 The PAS DE DEUX catamaran offers deluxe accommodation for 6 charter guests, in 3 en-suite double cabins, each with queen size beds, shower and electric heads. 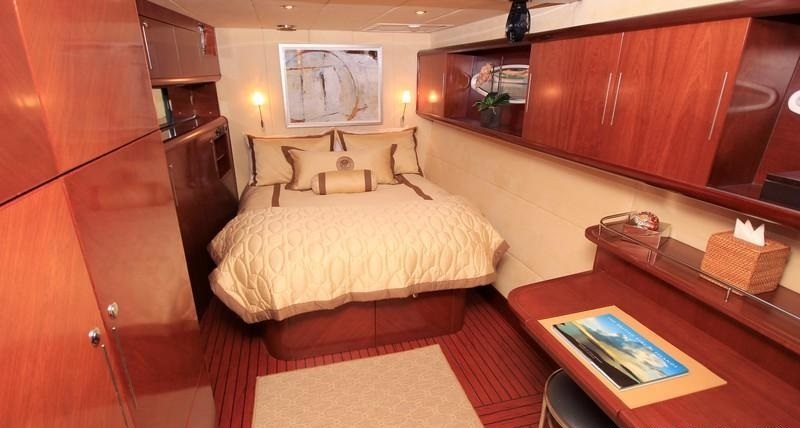 The master cabin is aft on the port side and boasts a spacious dressing / vanity area. 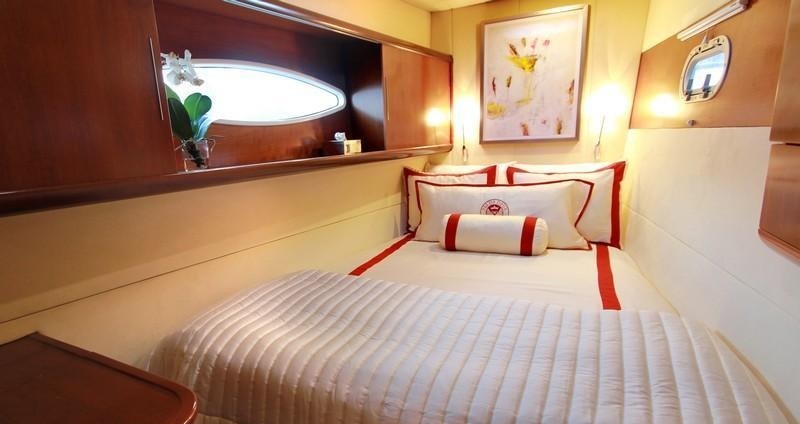 Two guest cabins are mirror image forward, on port and starboard. 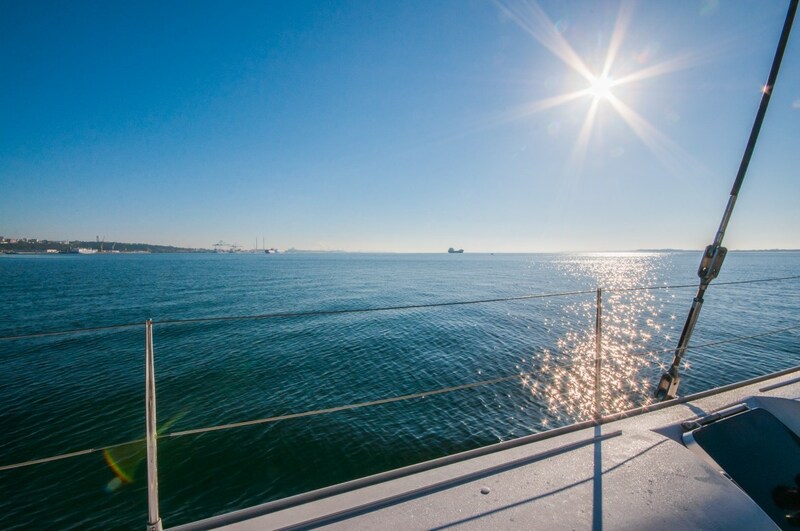 Thanks to the many ports and hatches, all guest cabins receive ample natural light. 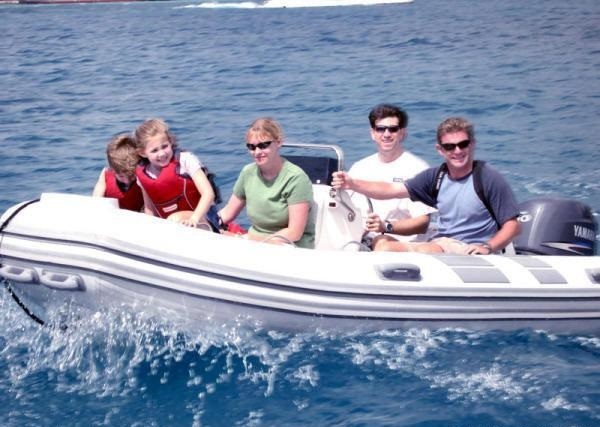 Yacht PAS DE DEUX has a Dinghy: Caribe / 14ft 0in (4.0m) / 60HP, Wakeboard, Towing ring, Stand-up paddle board, Wake skate, Fishing equipment, Kneeboard, Adult water-skis, Deck shower, Crew certification: PADI Dive Master, Diving lights, Snorkelling gear, Underwater camera - Still, CD library, DVD library, Stereo system, IPod Dock, DVD player, Media Hard Drive, Voltage: 110/220, Barbeque, Cell phone, Wi-Fi and Internet, Underwater camera – Video.